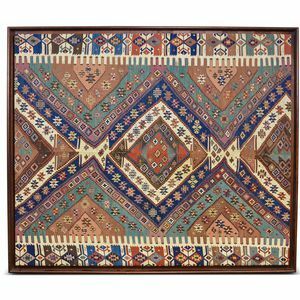 Rehanli Kilim, Turkey, late 19th century, mounted and framed, sight size 6 ft. 7 in. 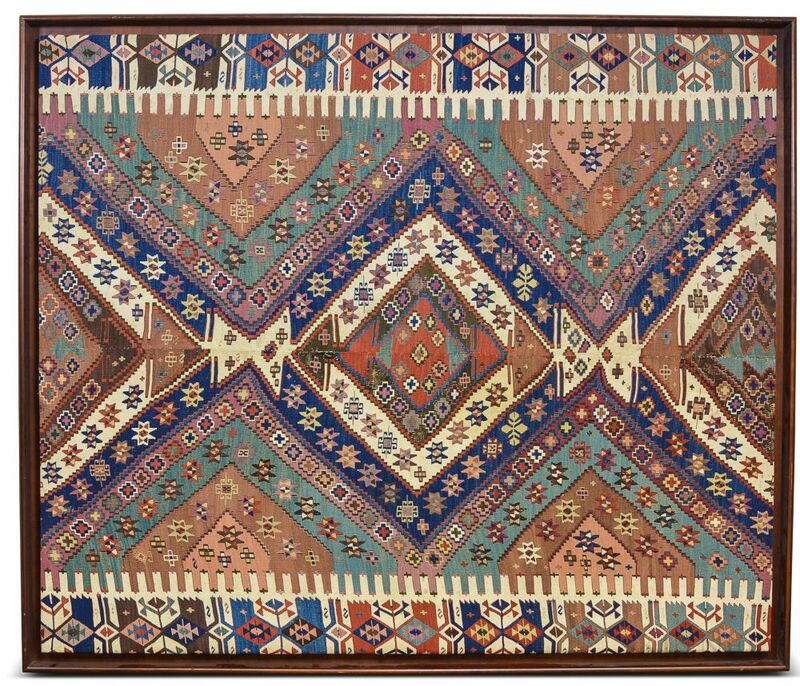 x 5 ft. 8 in. areas of staining and discoloration, wear, visible knots, and has a half dollar sized hole to the center.